In one afternoon you can make more than a dozen of these treats! 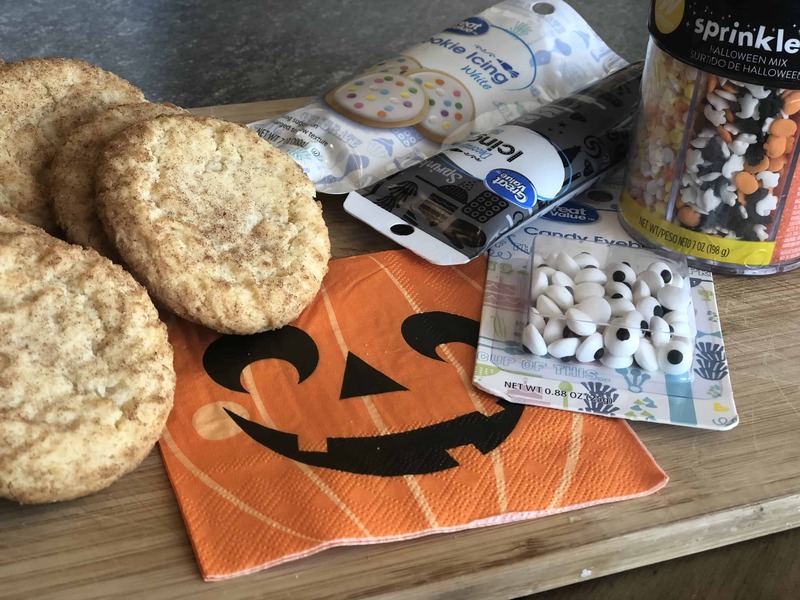 My Easy Halloween Cookie Treats are a quick and easy Halloween tradition to start with your little one. I have these set up and ready to go when my son arrives home from school, or on a weekend morning when they first get up. 1 box of a dozen store bought cookies (I used snickerdoodles this time). 2 different colors of cookie icing. 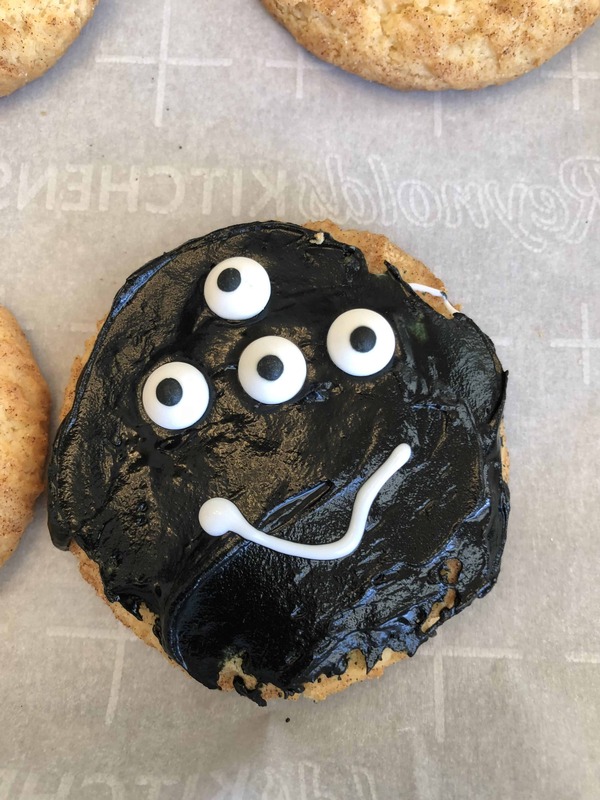 1 package of edible eyeballs. Let the kids decorate. Instruct the kids to choose an icing (or two), decorate the cookie base, and add the decorations! It’s that simple! 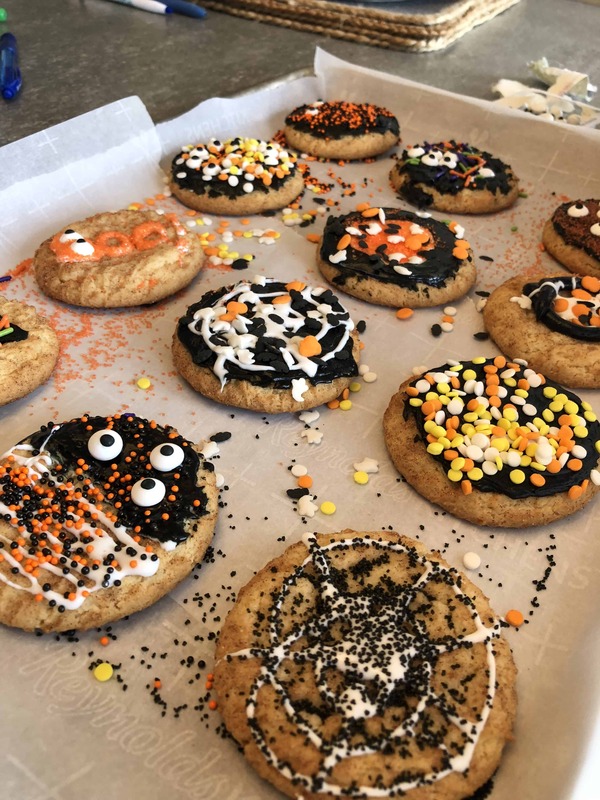 Easy Halloween Cookie Treats – make them a tradition. Every year my little guy looks forward to this tradition. It may be super simple – but for some reason, it’s one of his favorites. You can enjoy them at home with your family or bring them to a Halloween party – even serve them to your friends before going out trick or treating! Easy Halloween Cookie Treats will become a regular on your Halloween season schedule! I sure hope not! What’s the fun in that?? Have fun! Post photos and share your creations on our Facebook Page!